The Pitney Bowes DM220i franking machine is the ideal choice for businesses sending up to 200 mail items per day. Why consider a DM220i franking machine? Designed and manufactured by Pitney Bowes, the DM220i is part of a range of franking machines which are the product of over 90 years of industry expertise. Despite its compact size this machine is capable of processing mail at a speed of 45 letters per minute and can cope with as many as 200 items per day. 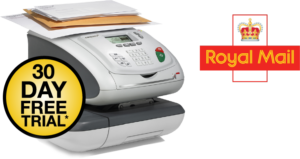 Reliable and user friendly, this franking machine is a great choice for any growing business. This model can process envelopes up to 9.5mm in thickness and the integrated scale can weigh up to 5kg giving you great flexibility in what you can frank. The machine is equipped with IntelliLink technology which will ensure your always using the latest prices. In addition, this machine performs differential weighing so it will automatically calculate the correct postage for every item with no need to adjust the settings. The DM220i can accommodate up to 100 different accounts and provides detailed analysis of your mailing costs so you can monitor budgets and reduce waste. There are 20 different marketing messages available for printing on your envelopes you can ensure all your mail is professional while promoting your brand. What post can you send with a DM220i? The DM220i will process First Class, Second Class, Priority, Express, Postcard, Flat Rate, Parcel Post and International mail classes including parcels up to 5kg. 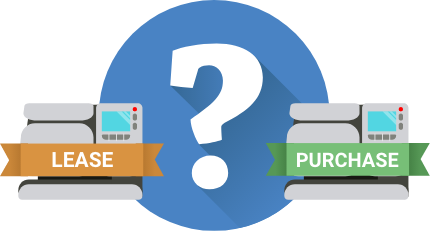 If needed you can easily upgrade the scale to a higher capacity of 7kg, 12kg or even 35kg if your business regularly sends heavier items. The DM220i is recommended for offices sending up to 200 items per day, but this is not limited so it can always process more if needed during busier periods. By using a franking machine to send your business’ post you can save a considerable amount of money. The level of savings is dependant on the type of mail you’re sending and changes annually as Royal Mail update their tariff. However, the DM220i includes IntelliLink technology which automatically downloads the latest prices so you know you’re always franking your mail accurately. Store up to 5 presets for the settings you use the most to save even more time. The DM220i can be programmed with up to 100 user or department accounts for maximum visibility and control over your budget. Compact dimensions of just 345 x 230 x 400mm to fit easily into any office space. Print up to 20 different advertising message, logos or even QR codes on your envelopes to reinforce your brand with recipients. Using IntelliLink technology the DM220i automatically downloads the latest Royal Mail postage costs to ensure you’re always up to date. If you’re interested in saving on your business’ postage costs with a Pitney Bowes DM220i franking machine, we recommend comparing multiple quotes to make sure you’re getting the best deal.